See What’s New for Spring 2018! Spring is here, and it’s the perfect time to catch up on the fresh new courses and features that we’ve added to Tynker in the last few months. If you already have a Tynker plan, that’s great – all of these updates are automatically rolled into your plan! Check out what we’ve released so far this year (and take a peek at what we’re working on for the coming months!). 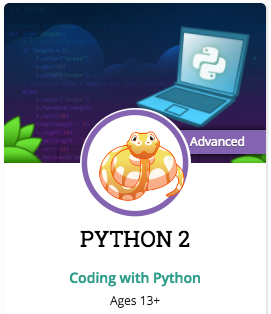 A Deeper Introduction to Python – Your child can solve real-world problems using advanced coding with Python 2, Tynker’s newest text coding course! Tailored for coders who have completed our introductory visual coding courses, Python 2 is a thorough introduction to computer science that challenges kids to build games, tools, and more using the popular Python language. 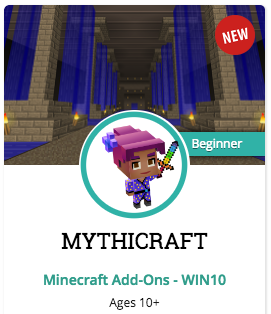 Minecraft Add-Ons and CodeBuilder Support – Our two brand-new Minecraft courses make it easier than ever to mod with Tynker. 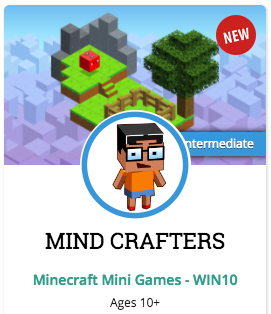 Your child will get creative bringing mythological creatures to life with Mythicraft and even learn to create complex structures with code as they build mods and mini-games with Mind Crafters! These new courses teach you to create mods and Add-Ons for Minecraft on Windows 10 and iOS devices. Even More Motivators – Tynker parents like you have told us more about what motivates your kids to code, and a sense of community and peer recognition ranks high. “I like to use my creativity to make fun games that entertain other people!” said Featured Maker Sebastian. We’ve added new community features to help keep young coders motivated, including profiles where kids can view how many followers, likes, and remixes they’ve gained with their hard work. Use the remix tree to distinguish original projects from remixes, and view social stats for extra motivation to create! Learn to Code on the Move – The Tynker app is better than ever! Your subscription includes 11 coding courses on the iPad, so you can even access Tynker offline while you’re on vacation or on the road. Space Cadet and Dragon Spells are two courses that have been localized to 14 languages. Over the next few months, we’ll be adding better learning recommendations for students, creating more daily missions, and introducing your child to two exciting new fields – Augmented Reality (AR) and web design. Sign up for an account today to stay in the loop! Tynker Junior: Now Available for Schools!